Help Us by Adopting a Fire Hydrant! -Know the location of the nearest fire hydrants in your neighborhood. -Make sure they are shoveled clear after each snowfall. 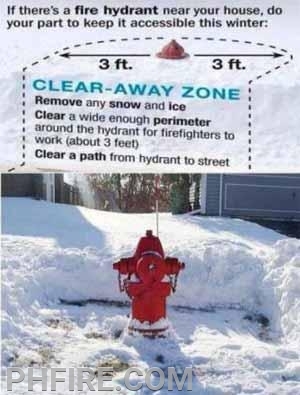 -Clear the snow three feet around the hydrant so firefighters have enough room to use the hydrant.